Even Goethe considered the Bohemian bath in the valley of the Tepla to be one of the most pleasant in the world. He visited it 13 times in total. In the 19th century it was the meeting place of the nobility, the rich and the powerful of Europe. 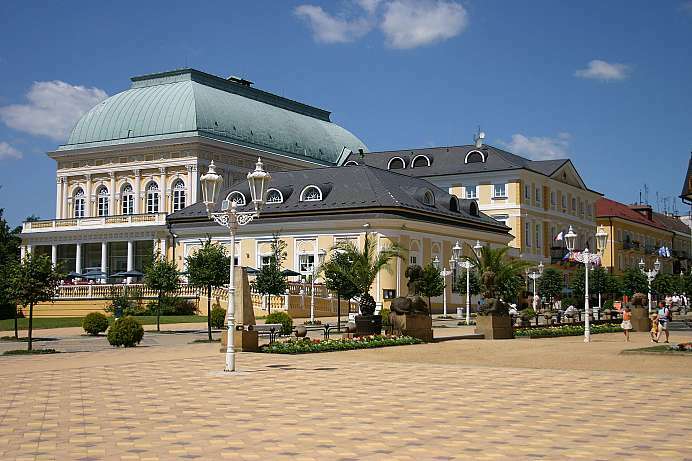 Soon the Habsburg Karlovy Vary was one of the most glamorous spas of all. The densely wooded valley that protects against the cold north winds and the hot springs that bubble out of the ground at 40 to 73 degrees contributed to this. Today much of the ancient splendor is visible again, especially around the Mühlbrunn-Colonnade, where spa guests stroll in front of the Neo-Renaissance facade and the Freedom Spring splashes in a wooden pavilion. The kingdom of Swaziland is ca. 17,366 sq km in size. The population is made up of approximately 97% African and 3% European people. English and Siswati (a branch of Nguni) are the official languages. The capital and largest city is Mbabane. Swaziland has excellent agricultural land and sugarcane is the leading export. Other important crops are citrus fruit, rice, cotton, corn, sorghum, pineapples, and tobacco. The Swazi people engage primarily in subsistence farming on communally owned land which is allocated by chiefs. Many Swazis are employed in South Africa's mines and industries.